Somewhere on the route between Ubud and Denpasar, about 150 men have gathered in the shadow of a monastery. They are huddled around an arena, a field of sand that measures around eight meters. The midday sun scorches the Earth from the sky. The air smells of sweat, blood, animals and frying fat. There’s corn on the cob and chicken skewers. The stands are full – whether young or old, everyone is in competition mode! 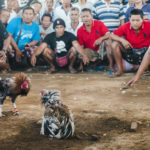 Their fascinated attention is focused entirely on “Tajen” – the cockfights that are an ancient tradition in the Balinese-Hindu culture. The first recorded cockfight took place in the 10th century. 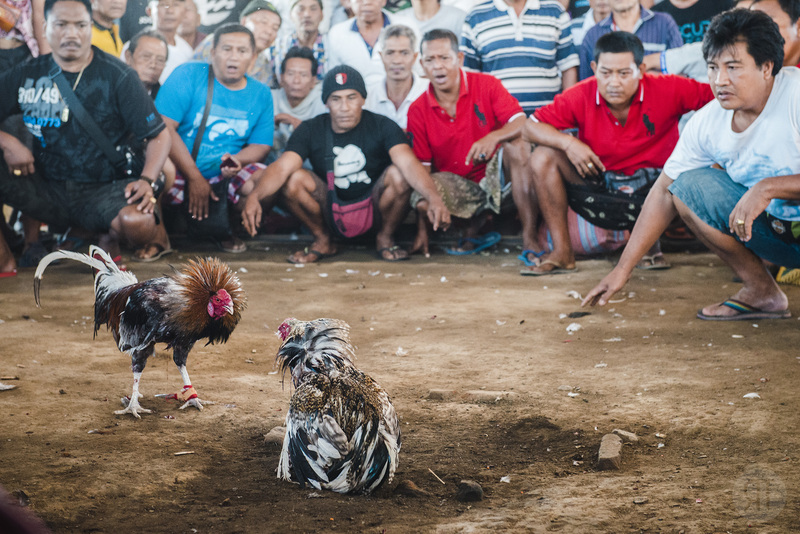 Even today in Bali, cockfights take place once or twice a year at Hindu temple ceremonies. 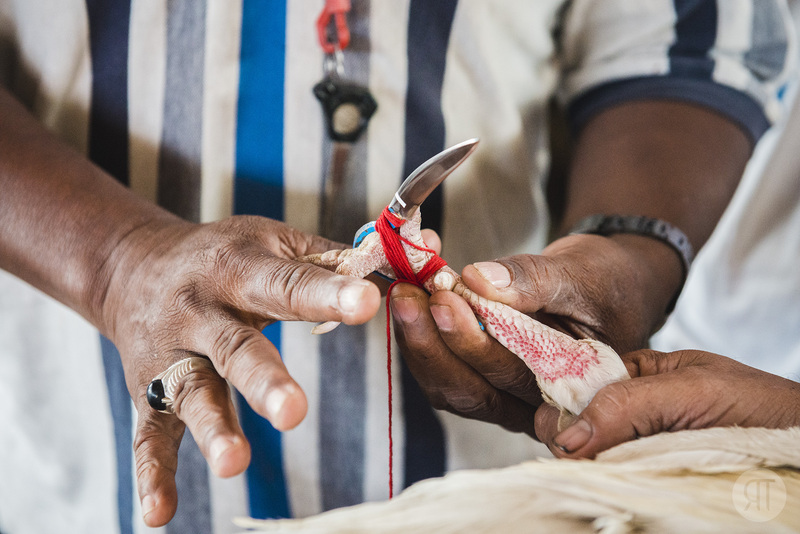 This religious ritual is called “Tabu Rah,” or “bloodshed” – a sacrifice for the gods. 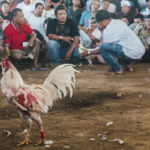 Most cockfights, however, have no religious significance. 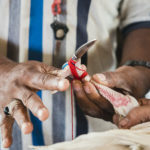 They take place about once a week and are simply a way for the men of the island community to pass the time, entertain themselves and socialize. 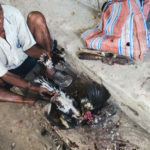 Pitted against each other, one rooster emerges victorious and the loser dies and ends up in the cooking pot. Anger and aggression seal the fate between life and death. The fights are always bloody and gruesome. 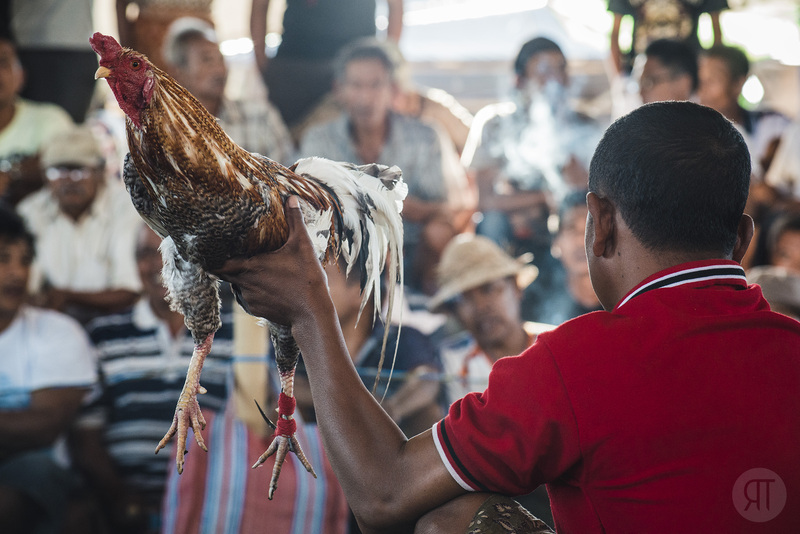 Many men dope up their roosters beforehand with painkillers, rile them up with caffeine or even sprinkle ground chili powder into their rectums. The reason for this is that the stakes are usually very high. 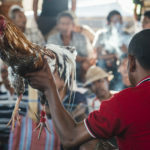 The most expensive roosters cost a few hundred euros, and many participants bet months of earnings on either victory or defeat. Alongside their monetary winnings, the winning breeder also gets the losing animal as a prize, which serves as dinner for their whole family. 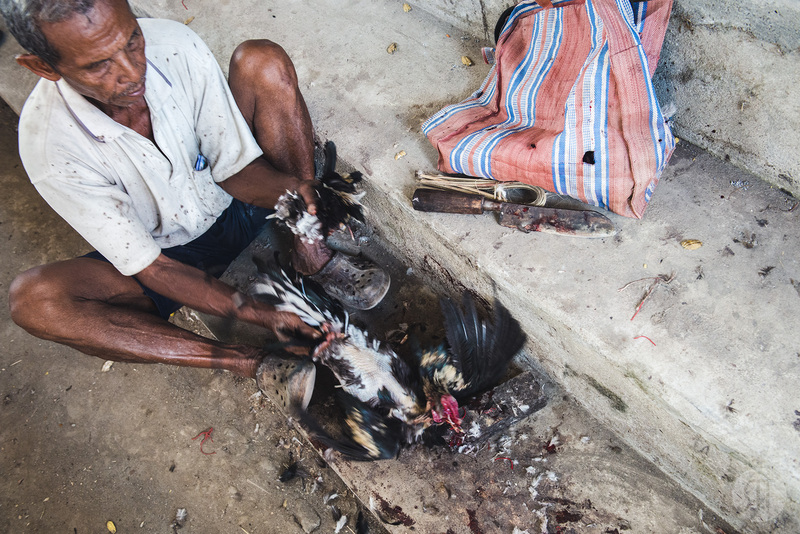 First, the animal gets its feet cut off, with attached steel blades, while it’s still alive. In the end it leaves the space fully filleted in a plastic bag. 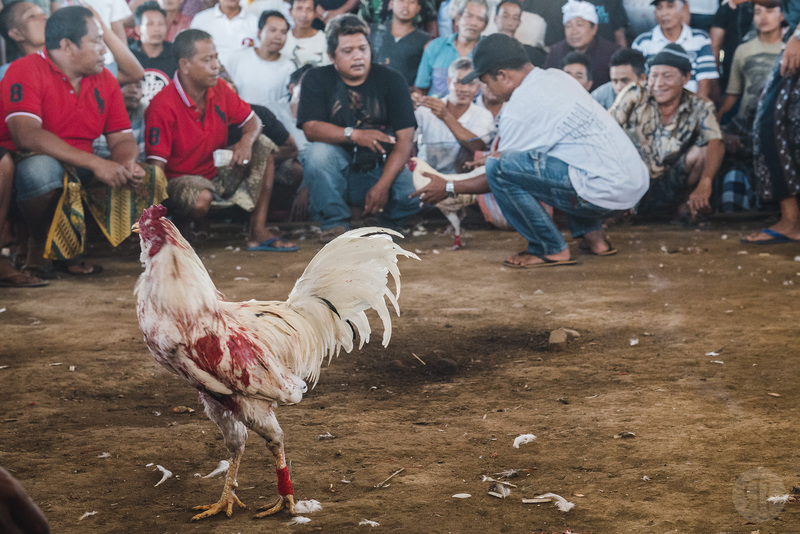 Religious cockfights are permitted in Indonesia, and even the implementation of steel blades and doping are not considered animal abuse. Any form of betting, however, is illegal. But this doesn’t seem to bother any of the participants. Bets of all sizes are made regardless. Everyone knows that if the police were to arrive, they would be thrown in jail for five years. Illegal bets are strictly forbidden. But everyone also knows that the police are very unlikely to show up.